Gotta a love a large orange humanoid-looking creature amongst all kinds of urban rubble. 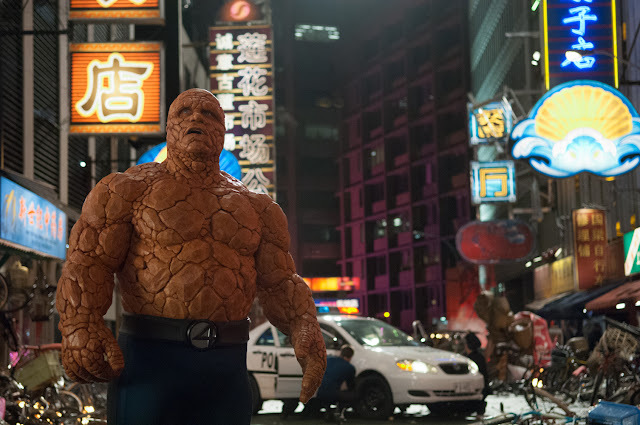 This is “Thing” in the movie “Fantastic Four 2, The Rise of the Silver Surfer”. I had a lot of fun shooting stills on this film because super heroes and stunts and explosions make for a very interesting day at the office. We took over a couple square blocks in downtown Vancouver and made quite a mess to film the climactic ending. It looked amazing with all of the neon lights! There was so much light coming off our set! Everything was so lit up from sunset to sunrise that I doubt any neighbouring condo dwellers got much sleep. 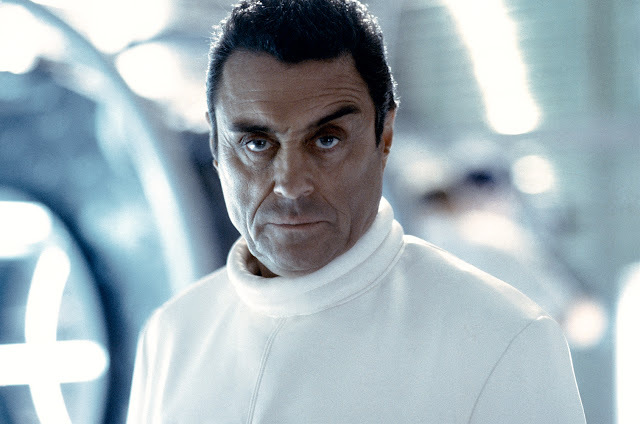 One of my favourite villains of all time is Ian McShane. He was the super villain on “Agent Cody Banks” that I photographed the stills on back in 2002. I would later become an even bigger fan of his watching him play the town bad guy in ‘Deadwood”. He has has that wonderful British charm that translates well into his nasty characters. His charisma and sense of humour on set always made the crew smile despite the abnormally long hours we worked on this particular feature.